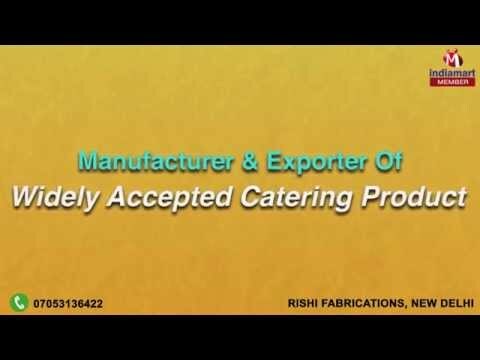 Welcome to Rishi Fabrications, established in the year 1994, we are the leading manufacturers and suppliers of Catering Counter, Catering Accessories, Hotel Crockery, Portion Thali and House Hold Product. Our exclusive series of products are generally used in different sectors like Commercial canteens, Restaurant, Hotels, Motels, Corporate Offices, Food courts, Food chains, Hospitals and Houses. It is best known for its durable nature, fine finish, smooth surface and unbreakable features. The offered items are fabricated using supreme grade raw material and current technology. Our delivered range is fabricated with precision in complete compliance with the set industry norms and standards. These items are highly appreciated among the customers for their features such as modern designs, crack resistance, excellent finish and extended durability. Our products are accessible in various shapes, sizes and designs as per the stipulation of our customers.